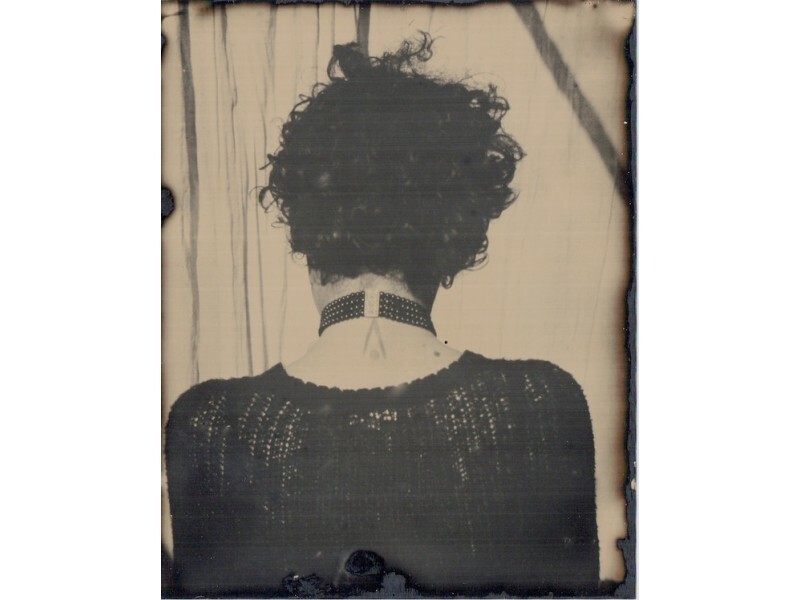 Our Tintype Parlor© is an authentic re-creation of the tintype process, a type of “instant” photography that was popular in your great-grandparent’s day. 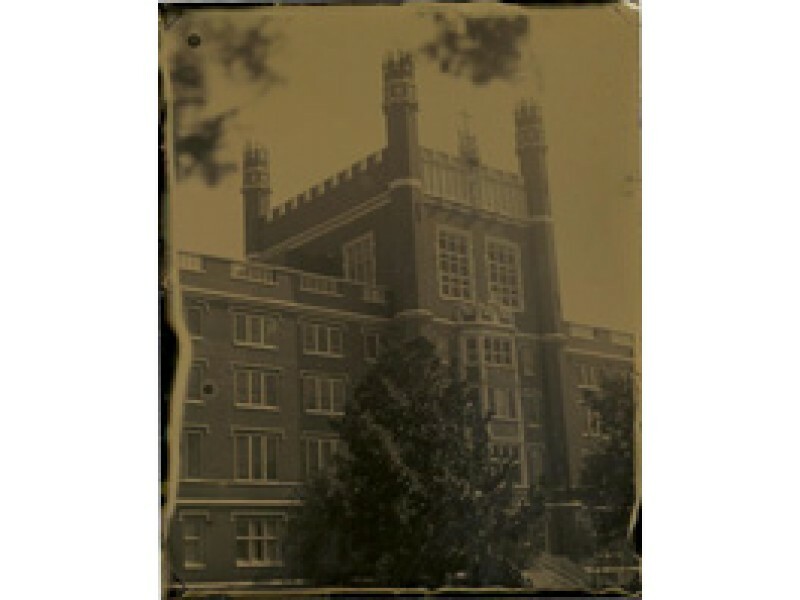 These are safe dry-plate tintypes, also known as ferrotypes, like those found in antique shops, not modern imitations. Plates are thin enough to cut with scissors to fit inside any camera. 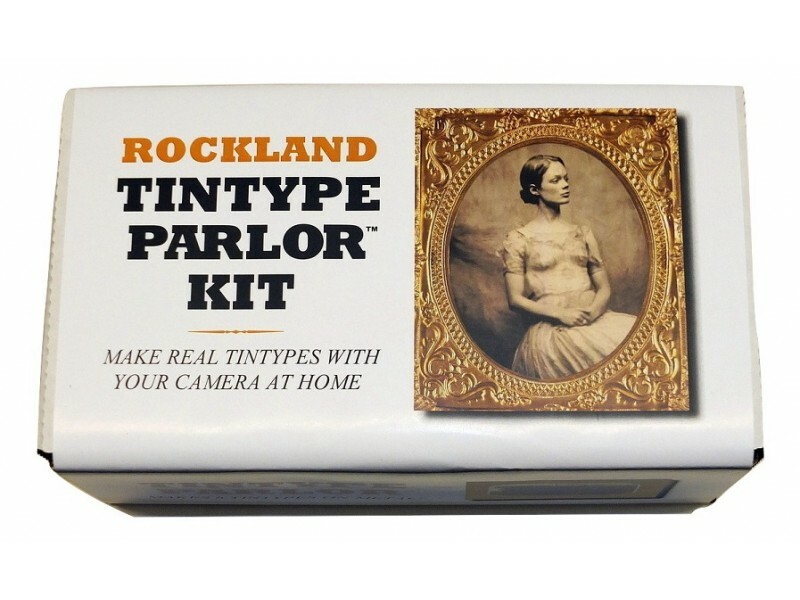 The kit has everything you need to make tintypes (or ambrotypes if coated on glass.) 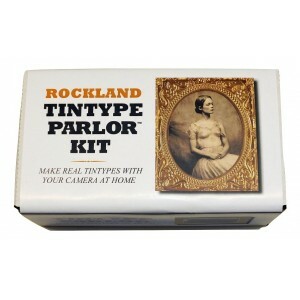 Tintypes can also be ordered in bulk quantities for economical use in old-time photo parlors. The Tintype Parlor kit contains eight 4x5” matte black aluminum plates, AG-Plus high-sensitivity emulsion, special developer, fixer and complete instructions for use.